Whether you’re a shopaholic or simply looking for that perfect Dells souvenir, there is no shortage of shopping here! 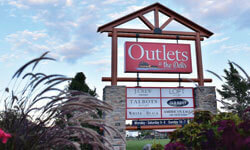 Find unique collectables and trendy apparel at Wisconsin Dells shopping locations. You’ll find stores for antiques, collectables, gifts, automotive, fishing, cheese, liquor, clothing, fudge and candy, furniture, grocery, health and beauty, and sporting goods. While our downtown shopping district is renowned for mementos to keep your vacation memories alive for years, Wisconsin Dells has a variety of shopping to provide vacationers to buy that one thing they left at home. Take a look at our 2018 Shopping Guide: Click Here!